This post explains the Employee Background Verification process and gives some useful points to keep in mind when facing an Employee Background Check as part of the interview process. Companies go to great lengths to to safeguard their business reputation. Employee Background Verification is one such exercise taken by just about every employer to ensure the person they are hiring is the right fit. During the interview process, most companies do the back ground and reference checks after the prospective candidate has cleared the HR and Technical interview rounds. The kind of background checks conducted usually depends on the employer and job profile the candidates are being considered for. Background checks are conducted by either a third party vendor, the recruitment consultant or the HR personnel in the company. Most background checks involve (but not limited to) doing an email, telephonic or physical verification of the candidate's past employment, residential address and educational qualifications. When getting ready to clear an Employee Background Verification Process, you need to pay attention to what is mentioned in your Resume and ensure it will all gets confirmed when professionals verify your claims. Here are a few basic steps that should help you along the way. Check what comes up when you search for yourself online. Look up on search engines with a combination of your name and your educational institute/previous employers/address/email id/phone number. Confirm your credentials in the Resume match those on your Social and Professional networking sites. Check with your previous employer websites how they process background checks for ex-employees. Do a check on yourself their way and confirm what comes up matches your details. Keep your Resume updated with the email ids of your references. Try giving references with official e-mail ids. Reference checks are generally carried out after you have cleared the interview rounds. Stay connected with your references and give them an advance notice to ensure they respond positively and in good time when your reference check comes their way. Many a times, the information shared in a resume can be interpreted the wrong way and sometimes a candidate is uncomfortable sharing a few details. 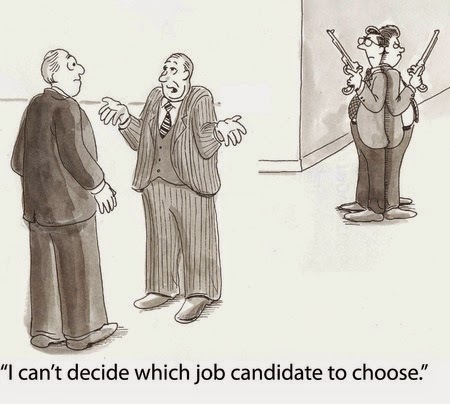 Other times a background check for an absolutely right candidate brings up some points of concern. In such cases, the candidate and the prospective employer conducting the background verification should not hesitate to discuss these trouble points and have them out of the way. Misinterpreting incomplete or false information is the only unfortunate situation!